A note from Kelly King: In today’s article, Kaye Hurta shares a story I believe is more common than you might think. 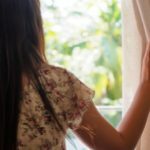 For many who are involved in a church or grew up in the church, realizing they need help for an addiction may involve finding a place where no one knows them. The struggles of shame and fear of gossip may keep someone from finding help within the walls of where they should find grace and community. We should all be challenged to create communities of faith where struggles and addictions can be addressed within a loving church family. In a recent article, I introduced you to Victoria and shared something of her personal recovery story. It is my sincere desire that by reading others’ stories, something may resonate with you that will help you or someone you are ministering to. Today I would like to introduce you to Jim. Jim is a retired high school principal. He is married, has children, and has a new grandchild. Jim and his wife Kathy enjoy serving in their church, playing golf, and being with family. Life is wonderful for them today, but it wasn’t always that way. For years, Jim and Kathy carried a secret. Jim was an alcoholic. Jim was a “functional” alcoholic. He went to work everyday, was very successful, was active in his church, and taught Sunday School for 15 years. For Jim, drinking was just something he did socially with friends. But what began as social drinking soon became troubled drinking (drinking for stress relief). That led to needing more and more alcohol to ease the stress which developed into a full blown addiction. This is a familiar and common progression. Alcoholism was part of Jim’s family of origin story. His father, uncle, and brothers all struggled with addiction. However, Jim didn’t recognize it in himself for many years. As his own addiction progressed, he became increasingly isolated, moody, and absent. Those behaviors took their toll on his marriage as well. He and Kathy became distant and uncommunicative. Jim tried several times to stop drinking on his own, only to find himself right back where he started. He knew he was not dealing with the underlying issues. The tipping point for Jim was when his wife Kathy started seeing a counselor. Finally able to see how his behaviors were affecting his family, he sought treatment for himself. Interestingly, Jim did not attend the Recovery group at his own church. Filled with shame and guilt, afraid of being judged and dismissed in his own church, Jim started attending a Recovery group at a nearby church. There he found accountability, hope, and the help he needed through their Christ-centered 12 step program. If you ask Jim, he will tell you that it is only by the grace of God that he is sober and whole. Healing looks like a daily dependence on Jesus, help from others, and the freedom to tell his story without shame. He is a leader in that Recovery ministry now and a dear friend to our family. He is a brave, caring, kind, loving man of God. Of particular interest to me from Jim’s story is that he didn’t feel safe telling his story in his own church community. This saddens me deeply. What do we need to do to ensure our ministries are safe harbors from life’s storms? What changes do we need to make? How do we best create ministry spaces that crush shame, normalize pain, and deliver hope? Lord Jesus, help us. Teach us. Show us. Next week I would like you to meet Jim’s wife Kathy and hear how she was able to help her husband by first helping herself. 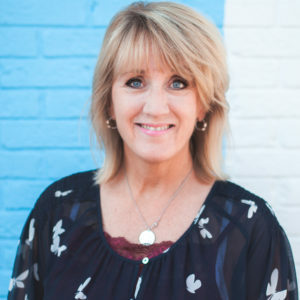 Kaye Hurta has a Masters Degree in counseling from Liberty University and is a crisis counselor for Women’s Events through LifeWay Christian Resources. Whether speaking, singing, or listening, Kaye’s passion is to help others find intimacy with Christ and soul transformation through the living pages of His Word. Kaye met and married her husband Chris in Austin, Texas in 1987. They have two daughters through the miracle of adoption, Madison and Cami. They live in the Chicago burbs where they are both on staff at Willow Creek Community Church. Kaye is also a contributing author for the LifeWay resource, Women Reaching Women in Crisis. Are You Too Heavily Burdened?